Amazon India head, Amit Agarwal, said in an interview with Reuters, that consumer goods such as detergents, soaps, and lotions are already the largest category on Amazon.in in terms of the number of units sold in India. Going by this, Amazon expressed its belief that the grocery and household products market will account for over half the business in India over the next 5 years. 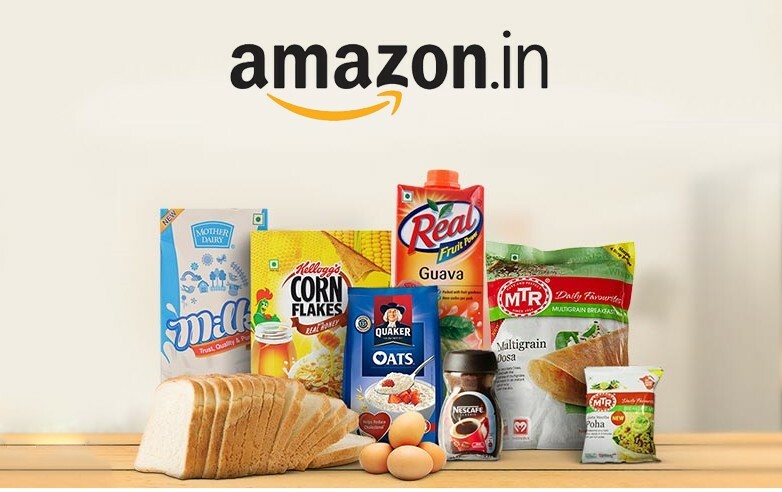 Amazon already has two services that cater to grocery needs in India, Amazon Pantry – which offers discounts on monthly grocery shopping through the site and Amazon Now – which delivers mainly perishables but other products as well, within two hours. Amazon Now promises a 2-hour delivery possible due to its tie-ups with local vendors. AmazonFresh totes in the U.S.
Amazon’s largest market in terms of customer base outside the United States, is in India. And with this foray into the grocery business, it hopes to penetrate the market in a bigger way tightening its hold on the market. The grocery market in India is currently dominated by Big Basket and Grofers, with Big Basket at the top with 73% market share. Big Basket’s huge market share and market reputation is something that Amazon needs to keep a close eye on over the next 5 years in order to solidify its foothold as India’s largest online store. All About Food, General, Good News!